Special rates have been secured exclusively for conference delegates at a number of hotels within walking distance to the conference venue. Accommodation bookings can be made during the registration process up until 15th May 2019 (AEST) or until sold out. If you would like to extend your stay outside of the available check in and check out dates or have already registered and would like to add accommodation please email us and we will be happy to assist. 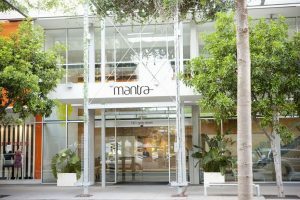 Mantra South Bank is located on the southern bank of the Brisbane River and is right in the middle of everything you come to Brisbane for. Brisbane Convention & Exhibition Centre opposite Mantra South Bank, the Queensland Performing Arts Complex, State Art Gallery and Museum as well as South Bank Parklands all within walking distance. 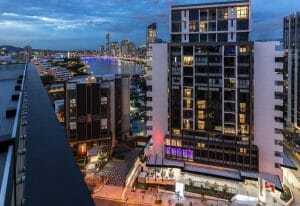 Enviably located in the heart of Brisbane’s arts and entertainment precinct, Rydges South Bank has a wide range of attractions on its doorstep including the South Bank Parklands and Brisbane CBD. Rydges is directly connected to the Brisbane Convention & Exhibition Centre, making getting to the Congress venue a breeze. Swiss-Belhotel Brisbane offers guests a sophisticated urban hotel in South Brisbane, on the edge of South Bank Parklands. The hotel includes facilities of an international standard, enhanced with exceptional hospitality. Features include free Wi-Fi, indoor swimming, a gymnasium and Café 63 all-day dining. 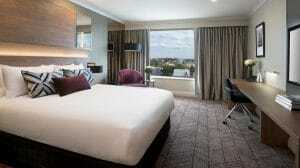 The Swiss-Belhotel Brisbane is within easy walking distance to the Brisbane Convention and Exhibition Centre.